Some candidates vying to be Michigan’s next governor are using the campaign trail to call for increased transparency in state politics — including when it comes to their personal finances. We gave the candidates two weeks, until March 12 (this past Monday), to respond to the disclosure request. Some also made their tax returns public, in addition to submitting them to Bridge. Of eight Republican and Democratic candidates actively campaigning, three did not disclose their finances to Bridge — Democrats Bill Cobbs and Shri Thanedar, and Republican Patrick Colbeck. Thanedar, who has called for increased financial transparency in government, said he would release the information later. Cobbs said he would not release his tax returns, adding that he has no conflicts of interest and would be open to an interview about his finances. Gretchen Whitmer, the leading Democrat in early polling, released her individual 2015 and 2016 federal tax returns, but not her spouse’s. Nor did she release other financial information Bridge requested. Frontrunning Republican Bill Schuette has called for state elected officers and candidates for public office to disclose personal financial information similar to members of Congress. He disclosed his 2016 federal income tax return to Bridge, filed jointly with his wife, but did not disclose specific information about significant assets or travel, which are among items that must be disclosed by members of Congress and others. Michigan has been ranked the least transparent state in the nation. Compared with others, Michigan is significantly more secretive about campaign money in politics, public records and potential ethical conflicts, according to the Center for Public Integrity, a nonpartisan investigative news organization that conducts research on government transparency nationwide. That means it is more difficult for Michigan voters to know who, or what, is influencing their politicians or political candidates. Most other states require personal financial disclosures from gubernatorial candidates, and Michigan is “infamous” for not having these requirements for legislators, said Kytja Weir, who leads the state politics team at The Center for Public Integrity. Financial disclosure requirements, Weir said, help the public identify any side businesses, familial ties or other conflicts of interest that could make it more difficult for elected officials to effectively govern. The request for candidates’ financial information is part of Bridge Magazine and the nonpartisan Center for Michigan’s effort to highlight issues and facts in the 2018 election to ensure voters have the information they need to make informed choices for governor and other elected offices. Today, we note candidates’ level of self-reporting on finances. Going forward, Bridge will seek additional information from these records to assess whether any candidates have potential conflicts that could emerge through policy positions or actions while in office. Bridge’s request was fashioned from long-established federal disclosure requirements for the president and vice president, members of Congress, federal candidates, some senior congressional staffers, nominees to positions in the executive branch, Cabinet members and Supreme Court justices. The candidate and spouse’s 2016 income tax returns. Earned income over $1,000 in 2017 for candidate and spouse. Any payment in 2017 over $500 for speeches, articles, appearances and other events, including honoraria paid to a charity of their choice. Assets worth more than $1,000 or that produced more than $1,000 of income in 2017, including securities, real estate holdings, business ownership and loans owed to the filer. Travel and travel-related reimbursements over $500 from official business. Gifts over $500 in 2017. Candidate information appears below, organized by party and in alphabetical order. 2016 tax return: Calley released his return filed jointly with his wife, state Rep. Julie Calley. They reported $104,274 in adjusted gross income. Earned income: Calley reported a salary of $111,510 from the state of Michigan. Payments for speeches, etc. : None. “I do not accept honoraria for speaking,” Calley wrote. Assets: Calley reported investments, savings and checking accounts and two cars ranging in value from $1,001 to $15,000; estimated household goods of $15,001 to $50,000; an IRA and home worth $100,001 to $250,000; and a 401(k) worth $250,001 to $500,000. Travel: Calley did not report any travel reimbursements. Gifts: He did not report any gifts he has received. 2016 tax return: Hines, a physician, released his 2016 federal tax return, filed jointly with spouse Martha Hines. The couple reported $449,573 in adjusted gross income, the highest reported income of all candidates who submitted information. Earned income: Hines reported $364,067 in wages from Valley OB-GYN; $30,085 in taxable interest from savings accounts; $18,575 in dividends from investment accounts; $15,510 in rental income from a rental home and Valley OB-GYN Realty; and other income of $33,827 from Covenant Healthcare. Assets: Hines reported assets of $2.5 million to $3 million related to real estate, including a residence, rental property and Valley OB-GYN Realty in Saginaw County, and two vacation homes and 40 acres of vacant land in Roscommon County. He also reported $9 million to $10 million in assets related to shares in a surgical center and flying club, investment accounts and bank savings accounts. Responded, but declined to disclose, saying he may do so later. 2016 tax return: Schuette released his tax return, filed jointly with his wife Cynthia. They reported an adjusted gross income of $375,466. Bridge did not request that candidates disclose the amount they gave to charity, but of those who did, Schuette reported the most: $51,377. Earned income: Schuette did not report any income earned outside what is reported in his tax return. Travel: Schuette did not report any travel-related reimbursements. 2016 tax return: El-Sayed released copies of his 2016 federal, state and Detroit city income tax returns, filed jointly with spouse Sarah Jukaku. They reported $237,063 in adjusted gross income. Earned income: El-Sayed reported earnings of $30,752 from the city of Detroit; Jukaku’s earnings of $61,162 from the University of Michigan; $9,075 from tutoring; rental property income of $5,634; and rental property income of $13,740. Payments for speeches, etc. : $312.50 for speaking at a retreat for the Rhodes Scholarship; $2,000 from Smile for Charity; $1,585 from the Medical Scientist Training Program, part of the National Institute of General Medical Sciences; $1,000 from the Islamic Center of Greater Cincinnati; $1,000 from American Muslim Health Professionals; and $1,000 from Ascension Health. Assets: El-Sayed and Jukaku own a condo in Ann Arbor which they are leasing, generating $13,740 in rent in 2017; Jukaku owns an apartment in Bangalore, India, that she leases out, and co-owns another property, generating $5,634 in rent in 2017; El-Sayed reported $17,131 in a Vanguard retirement account from Columbia University, and $13,062 in a city of Detroit retirement account. Travel: El-Sayed referred Bridge to his campaign finance report for travel expenses. Responded, but declined to disclose, saying he will do so later. 2016 tax return: Whitmer released her 2016 tax return, indicating that she filed separately from her spouse. She reported $150,499 in adjusted gross income. Earned income: Gelineau reported he and his wife work for separate title insurance agencies and earn between $48,000 and $60,000 each. Assets: Gelineau reported he and his wife have 95 percent of their holdings in 401(k) accounts; his contains about $700,000 and his wife’s has about $450,000. He reported owning a home in Lowell, but did not disclose the value. Gelineau is managing partner of a six-employee title agency that has been open for fewer than five years, but said the paper worth of the company is about $150,000. 2016 tax return: Kurland released her tax return, reporting $16,859 in adjusted gross income. Earned income: She said her radio show, The Offensive Feminist with Jenny K, is registered as a business but does not provide her with any income. She also has a small jewelry business, Jazzmyn Phyne Designs, that she said she has “not done much with in the past few years.” Kurland also said that she received $18,000 last year from her 401(k). Assets: Kurland reported a home she bought in 2005. She now estimates it is worth just over $60,000. 2016 tax return: Cox wrote in an email: “I have not completed my 2016 taxes. It is a little complicated why I chose to hold off and complete them this year with my 2017 taxes.” He plans to post his completed tax return on his website in May, he said. Bridge Magazine asked the 19 candidates for governor for tax returns and other financial details. Here’s a checklist noting who replied and who did not. Note: Democrats Shri Thanedar said he will release records at a later date. Bill Cobbs said he will not release the records. Note: Republicans Patrick Colbeck and Evan Space said they would not release their financial records. Earl Lackie said he may at a later date. Joseph DeRose did not respond to Bridge. * Cox said he has not filed a 2016 return yet. Libertarian Jeff Wood and Natural Law candidate Keith Butkovic both said they would not release their financial records. Independent candidates Larry Hutchison and Todd Schleiger and Libertarian John Tatar did not respond to Bridge. Why is every one so obsessed with tax returns. They really tell us nothing. 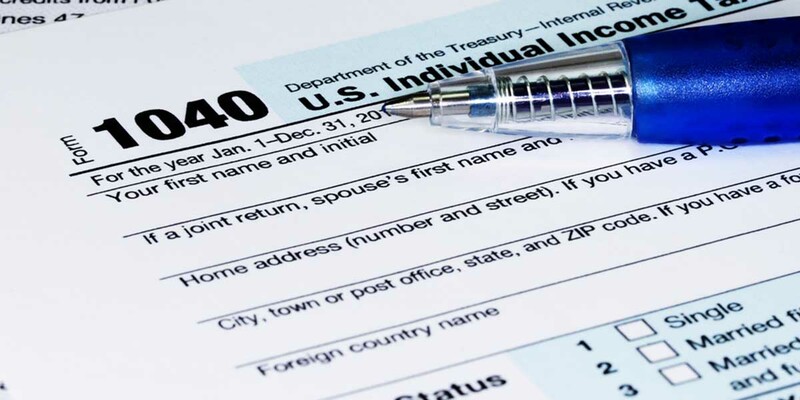 If one files a false return, then the IRS will probably file charges. A person would have to be really stupid to cheat on their taxes and run for office. And thanks to our wonderful politicians, a person can be a multi millionaire yet have no taxable income and as a result pay no taxes, all legal and allowable. I would rather have a summary of what a person has done in his or her lifetime when deciding who to vote for. After all, a resume is what we all use when applying for a job and isn’t this what candidates are doing? Why hasn't Bill Schuette investigated the illegal campaign donations of the Clinton Foundation. Everyone needs to follow Charles Ortel's investigation on Twitter of the illegal Clinton Foundation's activities. First, why can’t I easily find articles on you web site that I find links to on Facebook? Your website is very hard to find your current stories, commentaries, etc. please fix. Now, with regard to this article. It would be nice if you reported what the U.S. and Michigan constitutions require to be candidates for office. I don’t believe financial disclosure is a requirement. If that’s what we want then we should amend those documents. Otherwise, using “shame on you “ tactics for not disclosing is, well, shameful. I just want to know details about what they hope to accomplish, and how they propose doing it. Finally, if we think people running for office should reveal their finances (so we might glean what influences might guide their actions) then the same should be true for you reporters who are writing stories about candidates, I.e., what are your influences, and are they financially influenced? Fair is fair.